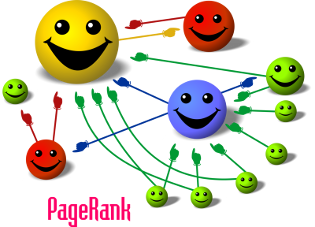 Bloggers are noticing changes in their Google PageRank starting yesterday. Those whose PageRank dropped may want to check their sites for broken links. There is an easy way to do that using a popular WordPress plugin Broken Link Checker for WordPress. When you have them check marked, go to the dropdown button and choose “unlink” then apply to select all and unlink. Deal bloggers have major broken link issues because when deals expire the links break and comments can leave tons of broken links so every blogger needs this plugin. Do you use something else or have more tips? Share them in the comments – links to related blog posts, plugins and tools encouraged. i used this plugin and this is very usefull plugin. Thank you so much fir this post. That is a great list of items to be included as plugins for WP. Continue this kind of articles because they are very good and useful, congratulations. This plugin is really fantastic! Thank you! if u have lots of broken links on your site, of course google isn’t going to like that and drop some PR. remember to remove all the dead links from the webmaster tool, this should solve the problem! Thank you so much for that plugin. I have started using it & it is pretty good. I would love to try this tool WP Plugin Checks for Broken Links. Andkon would love you to read ..Andkon Protect the city of the Undead! Based on seeing your link on Facebook today I installed the plugin and it found no broken links out of the 10,784 links it found on my site. I am amazed I had that many links without one being broken, crazy! That would be awesome, but I suspect it just hasn’t run yet. It runs gradually and finds them over time. Also, didn’t you used to use the ReplyMe plugin? I never got an email that you responded to my comment. I don’t think it took mine that long to start running but it seems to run off and on because it keeps finding broken links. The problem though is that some links are not permanently broken so good links are likely to get deleted if they’re down temporarily. Some bloggers have mentioned installing it, cleaning up links, and then uninstalling it instead of letting it run whenever it wants. Yes, I thought I got ReplyMe installed but maybe I didn’t. I will check into that. Sammy still hasn’t had time to deal with the issue of him having to do it and no one else being able to get updates to complete. Okay, It did finally update and it found 510 broken links but they all were from commentluv comments and comments from readers, none from in posts. Amazing how many broken feedproxy errors, so people who had been using feedburner as their backlink for CommentLuv it expires and is no longer valid. Of course this was the old commentluv system, but still. Really, I let it sit for like 6 hours it takes longer? I was concerned with the overhead to with my PHP and SQL connections being an issue lately. Downloaded the broken link checker. And now I can fix the broken links on my websites. Great tool, great post again Growmap! Broken links can be annoying but its not something unusual. The earlier we repair it the better. Many bloggers are recommending on Broken Link Checker for WordPress, sounds just perfect for repairing the broken links. Thanks for the information provided about this plugin. After checking some sitemap errors in google’s webmaster tools it became clear it is an issue I need to monitor. This can clearly become time consuming. I could only imagine the time spent on this for larger sites and blogs compared to newer blogs such as mine. I will be sure to add this on my do grab list. Yes, I am still fixing links. I immediately deleted over 1000 broken links in comments and am manually editing the ones in posts rather than just unlink them which makes them disappear and could confuse my readers. Going to run the broken link checker right now! Did Google update again? I think it’s becoming a habit. Anyways, I think another plus factor if links inside the site are in good condition. Good in the eye of the robots and with the readers too. Thanks for sharing. Good advice! Sometimes we have so many back links out there we forget to keep on eye on them. Not only that but make sure you build quality links. I have noticed the less quality the less rankings. good luck! finding broken links is a great tip. I did have a little luck with this advice so just wanted to report back and say thanks for remind us of the simple things. First of all thanks for this post it really helped me because I didn’t know I had that many broken links. But now they are all gone and I check it regularly now. I would recommend this to anyone. agree with your suggestion that this plugin is best for all of us. there are many plugins which are working as like that but this plugin is so fast and best from all of them. great sharing. Thanks for the candid information. I happen to be affiliated with a start up company’s website and am researching to make continued progress. The ideas and comments generated by this article are valuable as well as experienced. Recommended plugins and updated link breaks are traffic flows that are new to me. Glad to get a helping hand. I used to run this plugin on all my sites but removed it recently because recent changes to WordPress made my admin and post creation and editing slow. I’ve also gone away from having a lot of links on my site that I don’t know and trust are going to be there for the long run. Instead of running the plugin constantly I occasionally install it to check for broken links. I use the plug in. The one thing I think users have to consider is that just deleting the link can leave you with strange content — places where there obviously should be a link, but there isn’t one. I agree and wonder if the Broken Link Checker plugin developer would be interested in feedback on how to make the editing process easier. You are so right, every blogger is in need for this plugin. It is easy to use it, it is fast and friendly…what more is to ask for? Certainly, Kelli’s simple and fast tips on it are useful for this matter. All the people I know use this particular plugin for checking their broken links and all of them have positive experience. So, in general, I got nothing more to add to your post-only to keep recommending it to those who still didn’t hear for this plugin or didn’t have a chance so far to try it out. I’ve been using Broken Link Checker on one of my blogs for a while and it seems to work pretty good. That blog’s particular theme inserts “Website(optional)” automatically in the comment form and when someone comments that doesn’t have a website is instantly causes a broken link. The Broken Link Checker plugin lets me know when that happens. A lot of Facebook traffic doesn’t have a website in many niches. Thank you so much for that plugin. I have several commercial websites – one of them is pretty large due to the numerous products that I carry (they’re drop shipped to my customers) – and I’ve had the site for 4+ years, and was a 3/10 – recently down to 2/10. I have no idea why! The only problem with that site is that it’s not on wordpress, so I’ll need to find another way to check it for broken links – but it is a real possibility that there are some on that site. In the meantime, I’ll get that broken link plugin for my smaller, affiliate sites that ARE on wordpress. I added a couple of link checkers to the bottom of the post but suspect they both only check the exact URL you enter and not your entire site. You’ll want to find a link checker that runs against the whole site because doing it one page at a time would take a loooonnnnnngggg time! Back in the day I used FrontPage (I know…no booing…I used it because it had a built in link checker and my site was like this one – where I compiled resources for reference). I was thinking about installing it but never got around to it. Honestly, I kind of forgot after the “development” stage of the blog was over and I wasn’t looking at plugins anymore.